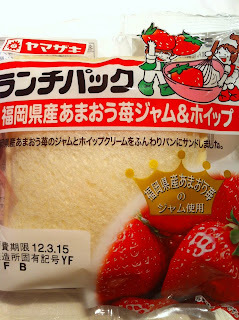 They use Amaou strawberry jam from Fukuoka pref., which is located in Kyushu area. The jam isn't too sweet and this is now my favorite strawberry jam lunch pack. I want more whipped cream tho.